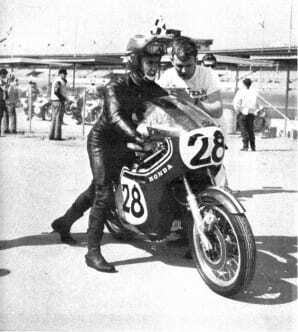 Steve giving Tommy Robb some words of advice at Daytona. Steve was taken from us suffering from prostate cancer. Having been friends with Steve since his early trips to race in Ireland, North and South, in the mid/late 1950s I can honestly say there was no one who could make friends faster than Steve.